Invasive Ductal Carcinoma (IDC) Classification Using Computer Vision & IoT combines Computer Vision and the Internet of Things to provide researchers, doctors and students with a way to train a neural network with labelled breast cancer histology images to detect Invasive Ductal Carcinoma (IDC) in unseen/unlabelled images. The project uses the power of the Intel® Movidius and uses a custom trained Inception V3 model to carry out image classification, both locally and via a server / client. IoT communication is powered by the IoT JumpWay and publishes the results after processing local images or images sent through the API. This is a project I created as an extension to one of my facial recognition projects, I advise that this is to be used by developers interested in learning about the use cases of computer vision, medical researchers and students, or professionals in the medical industry to evaluate if it may help them and to expand upon. This is not meant to be an alternative for use instead of seeking professional help. I am a developer not a doctor or expert on cancer. Install the Intel® NCSDK on a Linux development device. Install the Intel® NCSDK API on a Raspberry Pi 3 / UP Squared. Install the IoT JumpWay Python MQTT Client on the Raspberry Pi / UP Squared and configure the IoT JumpWay. Clone & Set Up The Repo. Train Inception V3 IDC Classification model on Intel® AI DevCloud. Convert the model to a format suitable for the Movidius. Test the IDC classifier locally on the Linux development device. Live IDC classification via the server / client. Build an IoT connected alarm that will be triggered when IDC is detected. DevCloudTrainer: A training program that allows you to train a convolutional neural network using Intel® AI DevCloud. Evaluator: An evaluation program for evaluating your model. Classifier: A classification program for testing your model. Server/API: A server that powers a REST Api, providing access to the classifier. Client: A client that can interact with the server/API. IoT Connected Alarm: An IoT connected alarm that is triggered when IDC is detected. 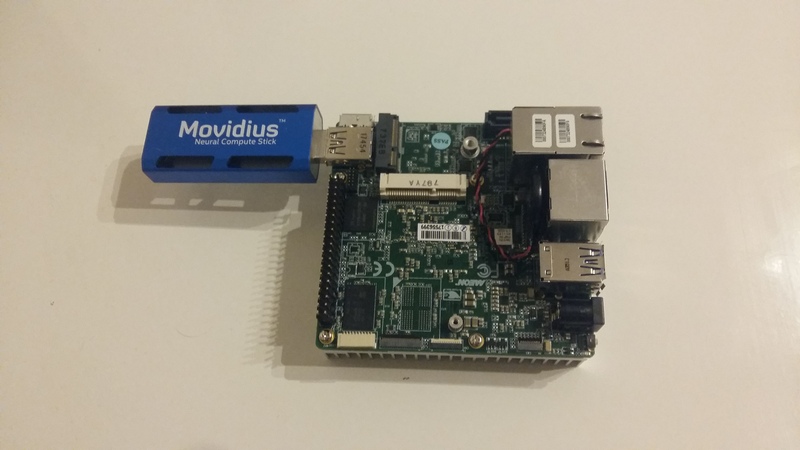 1 x Linux Device for training & converting the trained model to a Movidius friendly model. 1 x Raspberry Pi 3 / UP Squared for the classifier / server. 1 x Raspberry Pi 3 for IoT connected alarm. 1 x Grove starter kit for IoT, Raspberry Pi edition. The first thing you will need to do is to install the NCSDK on your development device, this will be used to convert the trained model into a format that is compatible with the Movidius. Next you will need to install the NCSDK on your Raspberry Pi 3 / UP Squared device, this will be used by the classifier to carry out inference on local images or images received via the API we will create. 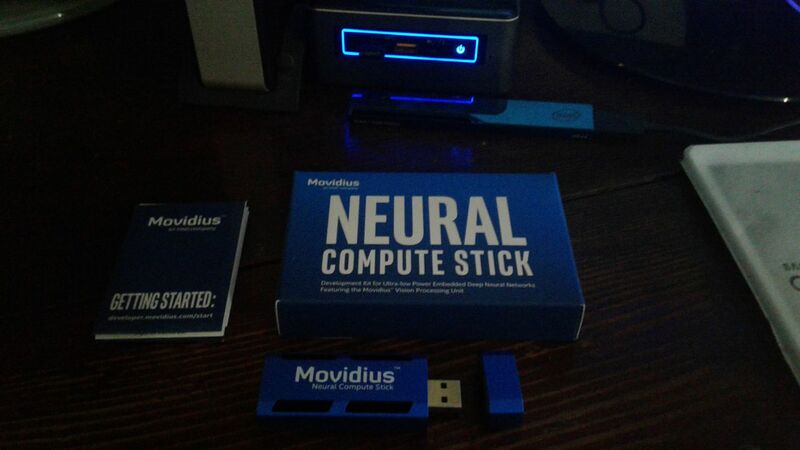 Make sure you have the Movidius plugged in. Setup an IoT JumpWay Location Device for IDC Classifier, ensuring you set up a camera node, as you will need the ID of the dummy camera for the project to work. Once your create your device add the location ID and Zone ID to the IoTJumpWay details in the confs file located at model/confs.json, also add the device ID and device name exactly, add the MQTT credentials to the IoTJumpWayMQTT . You will need to edit your device and add the rules that will allow it to communicate autonomously with the other devices and applications on the network, but for now, these are the only steps that need doing at this point. Once you have the repo, you will need to find the files in this folder located in IoT-JumpWay-Intel-Examples/master/Intel-Movidius/IDC-Classification. For this tutorial, I used a dataset from Kaggle ( Predict IDC in Breast Cancer Histology Images ), but you are free to use any dataset you like. I have uploaded the collection I used for positive and negative images which you will find in the model/traindirectory. Once you decide on your dataset you need to arrange your data into the model/train directory. Each subdirectory should be named with integers, I used 0 and 1 to represent positive and negative. In my testing I used 4400 positive and 4400 negative examples giving an overall training accuracy of 0.8596 (See Training Results below) and an average confidence of 0.96 on correct identifications. The data provided is 50px x 50px, as Inception V3 was trained on images of size 299px x 299px, the images are resized to 299px x 299px, ideally the images would be that size already so you may want to try different datasets and see how your results vary. You can finetune the settings of the network at any time by editing the classifier settings in the model/confs.json file. Now you are ready to upload the files and folders outlined below to AI DevCloud. Once uploaded, follow the instructions in DevCloudTrainer.ipynb, this notebook will help you sort your data, train your model and evaluate it. Once you have completed your training on the AI DevCloud, complete the notebook by running the evaluation job. Once the shell script has finished the testing program will start. In my example I had two classes 0 and 1 (IDC negative & IDC positive), a classification of 0 shows that the AI thinks the image is not IDC positive, and a classification of 1 is positive. If you used the Predict IDC in Breast Cancer Histology Images dataset, you can use the positive.png & negative.png as they are from that dataset, if not you should chose a positive and negative example from your testing set and replace these images. The server is currently set to start up on localhost, if you would like to change this you need to edit line 281 of Server.pyand line 38 of Client.py to match your desired host. Once you have things working, if you are going to be leaving this running and access it from the outside world you shoud secure it with LetsEncrypt or similar. Upload the following files and folders to the UP Squared or Raspberry Pi 3 that you are going to use for the server. Open up a terminal and navigate to the to the folder containing Server.py then issue the following command. This will start the server and wait to receive images for classification. This will send a positive and negative histology slide to the Raspberry Pi 3 / UP Squared which will return the predictions. !! Welcome to IDC Classification Client, please wait while the program initiates !! The next step is to set up your Raspberry Pi 3 so that the IDC server can communicate with it via the IoT JumpWay. For this, I already created a tutorial for the IoT JumpWay Raspberry Pi Dev Kit IoT Alarm that will guide you through this process. The only difference is that you do not need to set up the Python commands application, as in this project, the IDC server will replace the Python commands application, to save time, please only follow the steps for Device.py and not Application.py. You will need to uncomment lines 104 - 107 to ensure that the LEDs and buzzer turn off after some time, you can update line 107 to set the amount of time to keep them running for. 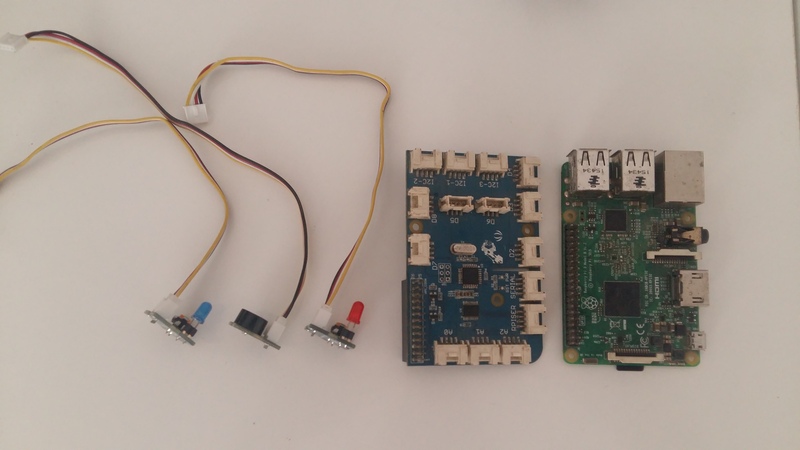 You are now ready to take the final steps, at this point you should have everything set up and your Raspberry Pi Dev Kit IoT Alarm should be running and connected to the IoT JumpWay waiting for instructions. Next we are going to set up the rules that allow the IDC server to control your Raspberry Pi Dev Kit IoT Alarm autonomously. Go back to the IDC device edit page. Scroll down to below where you added the camera node and you will see you are able to add rules. When IDC is identified, turn on the red LED. When IDC is identified, turn on the buzzer. When IDC is not identified, turn on the blue LED. The events are going be triggered by warning messages sent from the IDC classifier / server, so in the On Event Of drop down, select WARNING. Then you need to select the camera node you added to the IDC device, as this is the sensor that the warning will come from. Next choose RECOGNISED in the With Warning Of, which will mean that the rule will be triggered when the IoT JumpWay receives a warning message that IDC has been identified, then select the Send Device Command for the Take The Following Action section, choose the Raspberry Pi Dev Kit IoT Alarm as the device, the red LED as the sensor/actuator, TOGGLE as the action and on as the command. This will then tell the Raspberry Pi to turn on the red light in the event of IDC being detected, repeat this process for the buzzer. Finally repeat the LED command for the blue LED but with NOT RECOGNISED in the With Warning Of and selecting the ID that represents the blue LED you set up on the Raspberry Pi. When the program processes an image, it will send sensor & warning data where relevant to the IoT JumpWay. You will be able to access the data in the IoT JumpWay Developers Area. Once you have logged into the Developers Area, visit the IoT JumpWay Location Devices Page, find your device and then visit the Sensor Data pages to view the data sent from the device. You can also view command messages for the Raspberry Pi in the Raspberry Pi device page under the Commands tab. Detect Invasive Ductal Carcinoma (IDC) in unseen/unlabelled images.